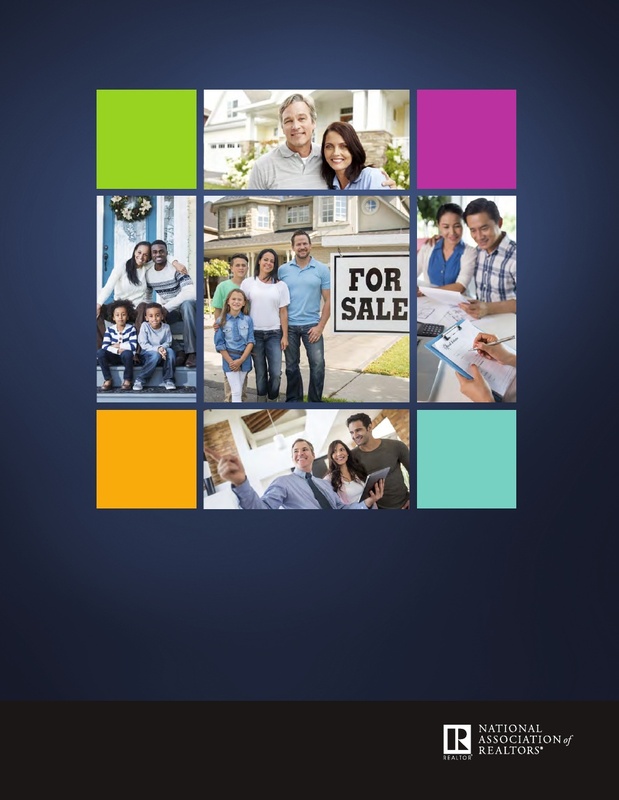 NAR released a free download of the highlights of the 2015 Profile of Home Buyers and Sellers. 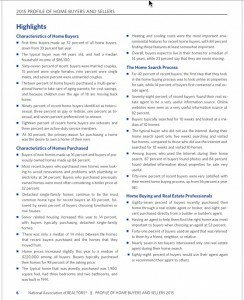 The full report is available at a discount for Realtors at the Realtor store (price $19.95). The report is essential reading for every real estate professional and can be used to shape your business and marketing planning. You can also incorporate the research data into your presentations and marketing material. As an example you can share declining FSBO statistics (only 8% of home sales were FSBO) to show private sellers why they should hire you as a Realtor or that 87% of Home Buyers found detailed photos and listing information extremely helpful when viewing a listing online (which is why you hire a top photographer and videographer for all your listings).